Got a boat? Want a boat? Well this house has a parking pad for one and access to a boat ramp! Your time is now! Great floor plan - split 4 bedroom w/lots of storage! Kitchen is fully equipped w/stainless steel appliances, pantry closet, desk space, food prep island, loads of counters & breakfast bar overlooking family room. Gleaming bamboo wood & tiled floors throughout. Huge folding table in indoor laundry area. Outside is where the party is at with pool, huge pavered deck, grilling area, gazebo; workspace for barbecues; fire pit and grassy area for fur kids & boat pad w/double gate. Master bedroom has 2 walk-in closets, French doors leading to pool area as well as en suite bath w/jetted garden tub & separate shower, dbl vanities, skylight & porcelain tile. See supplement. 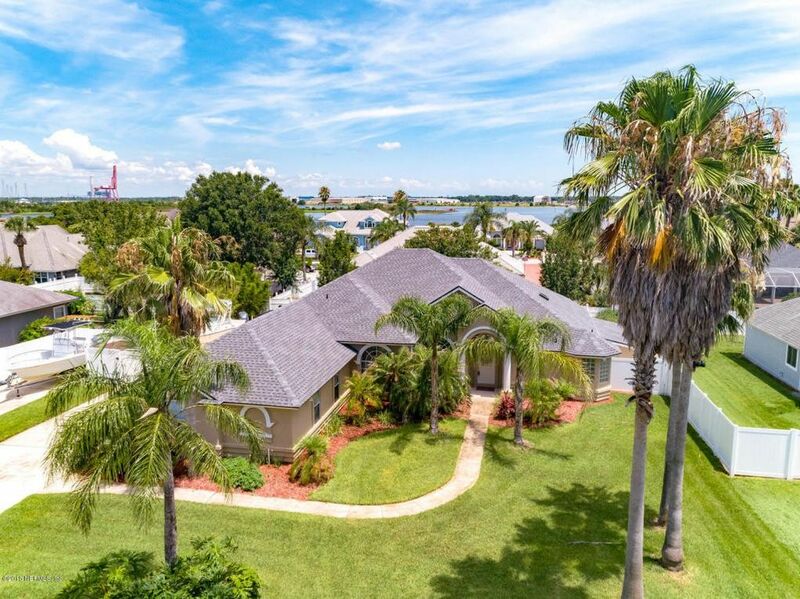 Other features in this home - transferable termite bond, sprinkler sys w/yard well & pump; newer 19 SEER HVAC w/upgraded thermostat; water softener; surround sound; roof-2018; The $500 annual HOA covers access to the boat ramp, the club house, the tennis courts and the playground. It is also utilized to pay for the upkeep and improvement of the neighborhood. Buyer pays for survey. Gas fireplace however no tank hooked up. If buyer wants to test they must incur cost to hook-up. Pool is an above ground pool sunken into the ground with 1100sf pavered deck. Only fridge is garage conveys. Directions: North on Monument Rd, west on Ft. Caroline Rd, t/r on Charles Bennett Rd, will become Kingsley Manor Way, house will be on right.